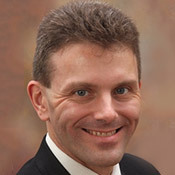 As the Assistant Vice President for Security for the Association of American Railroads (AAR), Thomas L. Farmer coordinates development of railroad industry security policy and serves as the principal rail industry liaison with Federal departments and agencies on matters pertaining to security. Among his responsibilities are: assuring the viability and effectiveness of the industry’s Security Management Plan; facilitating industry-wide security exercises to evaluate implementation of the plan and apply lessons learned in improvements; managing the intelligence and security information sharing and alert notification functions of the Railway Alert Network; and identifying and advancing opportunities to enhance the railroads’ capabilities to address security challenges. As a critical component of these duties, Tom serves as coordinator of the Rail Security Working Committee and the Rail Sector Coordinating Council. Each of the Class I railroads, regional freight railroads, Amtrak, Alaska Railroad, Metra (Chicago), Metrolink (Los Angeles), affiliated commuter railroads, and the American Short Line Railroad Association (ASLRRA) participate in these forums, which foster collaborative risk mitigation and security enhancement efforts and effective communication and coordination with the Federal government. Additionally, as Acting Chair of the Partnership for Critical Infrastructure Security (PCIS) Cross-Sector Council, Tom works with the lead representatives for each of the critical infrastructure sectors and with senior government officials in coordinated efforts to advance priorities and capabilities in critical infrastructure protection and resilience. Mr. Farmer joined AAR in April 2010 following nearly 6 years of service with the Transportation Security Administration (TSA), in both the Mass Transit and Passenger Rail Security Division (2006-2010) and Office of Chief Counsel (2004-2006). In his more than 4-year tenure with Mass Transit, during which he twice served as Acting General Manager for extended periods, Tom worked in close concert with other Federal agencies and security directors and law enforcement chiefs in passenger railroads and mass transit systems nationally in the development of broadly embraced strategic priorities and the programs and initiatives that advanced their implementation. He placed particular emphasis on the need to improve the analytical quality, efficiency of dissemination, and timeliness of intelligence and security information for passenger rail and mass transit stakeholders. Tom’s professional career includes two tours of active military service – as a judge advocate in the United States Air Force from 1994 to 2004 and as a tactical intelligence officer in the United States Army during 1985 to 1988. A graduate of Seton Hall University (B.A., Communications – 1985), St. John’s University School of Law (J.D., 1993), and the Institute of World Politics in Washington, DC (M.A., National Security Affairs – 2008), Tom resides in Fairfax, Virginia with his wife Michaele, 13-year-old daughter Haley, and 9-year-old son Timothy.